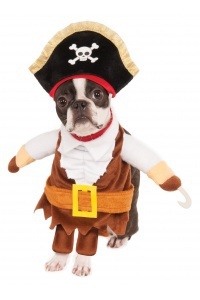 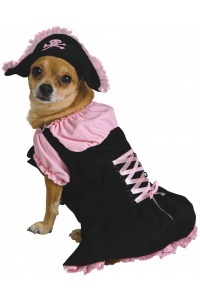 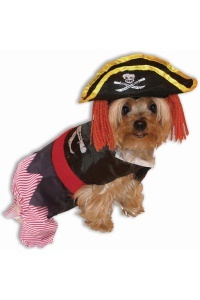 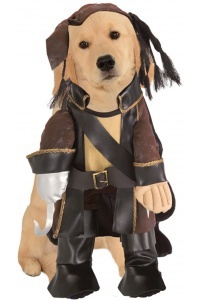 The female dog pirate costume includes a dress with arms and pirate hat headpiece. 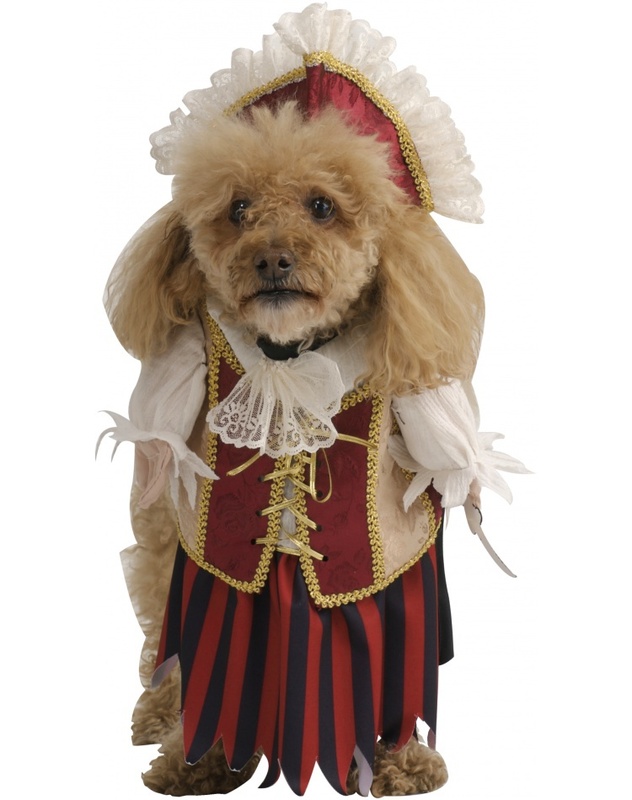 This is a 'walking' pet costume so the back is open and the illusion is best viewed from the front. 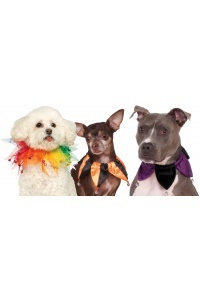 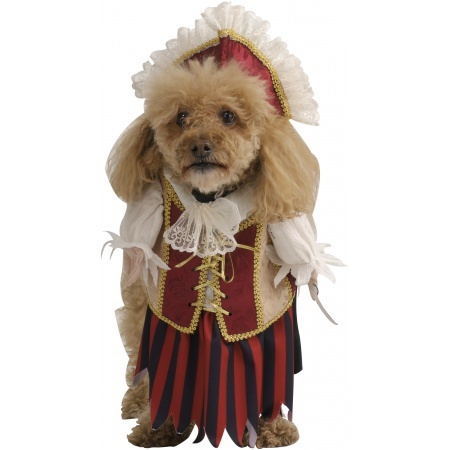 Our female dog pirate costume comes in pet sizes Medium, Large, X-Large, Small. 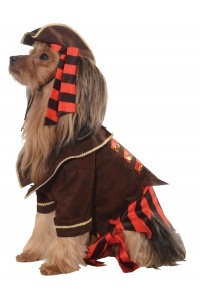 Our female dog pirate costume also makes a great Renaissance wench costume for pets.